Sometimes editing videos on your mobile device just isn’t enough. Some advanced graphics and editing really needs to be done on a desktop powerful enough to render the video. I run a PC so I don’t list Mac only programs. I’ve used these programs and can vouch for them all. Premiere Pro is an excellent program that will allow you to manipulate, add music, sound effects, transitions, and about 900 other things. Just because you CAN do all that doesn’t mean you Should right out of the bat. Adobe has various subscriptions available for this program and just like with websites, there are video templates available that will make it easier when you are first starting. If you want a really easy cheat sheet/training you can check out my Adobe Premiere tutorials for free. (12) 1 minute videos that show you 80% of what you;d need to know. 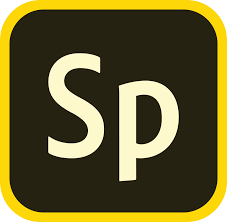 The free version of Spark has the Adobe Spark logo burned on it but it is a fantastic program even without the upgrade. There are easy templates and making slideshow videos are super simple with this app. You can mix in Video with the slides, add voice over, and create crisp easy to make videos that can get your message across. I still use this program when the right project comes by and have created some pretty detailed videos with it in half the time Adobe Premiere would take. I know it seems like I work for Adobe but this is a program that fits in between Spark and Premiere. I had the opportunity to participate in a small Beta testing group for this program earlier in 2018.